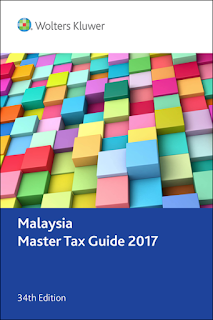 Malaysia Master Tax Guide 2017 launched! 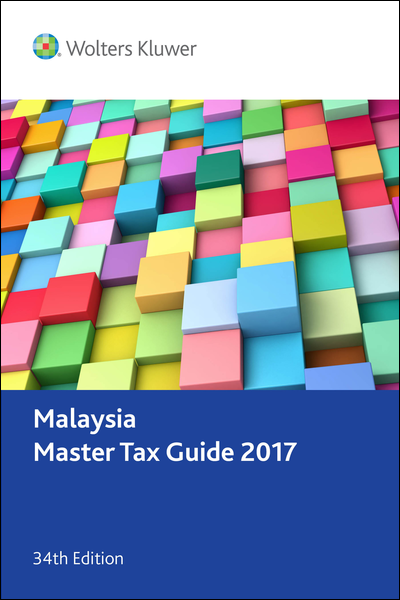 Any tax professional in the Malaysia tax scene will tell you that the Wolters Kluwer Malaysia Master Tax Guide is a must-have reference to deal with the ever-changing tax landscape. Well, the latest edition of our flagship product is now available for purchase! Updated for all law changes up till 1 February 2017, this publication contains practical guidance on every aspect of the Malaysian tax regime that you need to know about. It provides a practical, accurate, reliable and clear explanation of how the law is applied to individuals, partnerships, limited liability partnerships, corporations and other taxable entities and includes critical information in areas of real property gains tax, double tax treaties and investment incentives. Foreign business professionals interested in doing business in Malaysia will find the explanation of industrial and investment incentives and the chapter on special concessions granted under tax treaties particularly useful. With examples and illustrations available throughout, no tax professional's bookshelf will be complete without our flagship tax book. The Guide has earned its reputation as Malaysia's leading annual tax guide because it covers the year's tax developments more clearly and concisely than any other similar publication. All tax changes made since the publication of the previous edition including changes effected by the 2017 Budget, the Finance Act 2017, the recent exemption orders, rules and public rulings issued are featured in this edition. Orders are already pouring in, have you sent yours in? If not, don't miss out, order your Malaysia Master Tax Guide 2017 now!